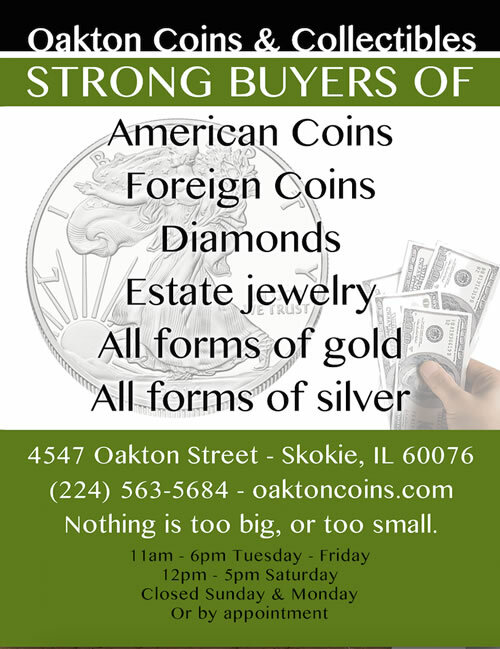 Oakton Coins & Collectibles buys US & Foreign Coins + Paper Money. Evanston’s closest and highest paying coin shop! Best place to sell coins…. Here is a partial list of of the types of coins we buy from Evanston……..
American Eagles, American Gold Buffalos, Canadian Maple Leafs, South African Krugerrands, Chinese Pandas, Australian Kangaroos, Nuggets, Credit Suisse, Johnson, Matthey & Englehard Bars, US Liberty & Indian Coins; $1, $2 1/2, $5, $10, $20 -, American Arts Medallions, Modern US Commemoratives, Austrian Coronas, Ducats,, Philharmonics, English Britannias, Pounds, Souveriegns, Belgium, French & Swiss 20 Francs, Isle of Man Angels, Cats, Mexican Pesos, Onzas, All Other World Gold Coins. Evanston’s only coin shop! 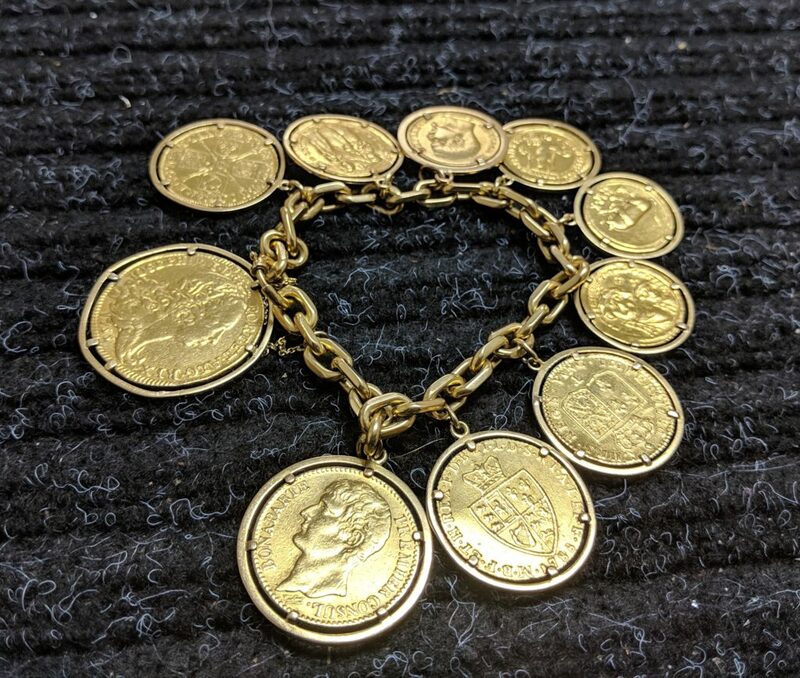 Love Tokens, Civil War Tokens, Hard Times Tokens, So Called Dollars, Medals, Diamonds, Sell gold Scrap, Sell gold Jewelry, Scrap Jewelry, Pocket Watches, Wrist Watches, and More! Evanston coin shop buys and sells coins, gold, silver, and jewelry. In addition to their Evanston location, Evanston coins will also travel to your bank, home, or office to buy your coins or precious metals. With more than 20 years of experience, this coin dealer is known for fair pricing on bullion and an expansive, ever-changing selection of rare and historic coins. They offer free appraisals, and are a NGC authorized dealer.